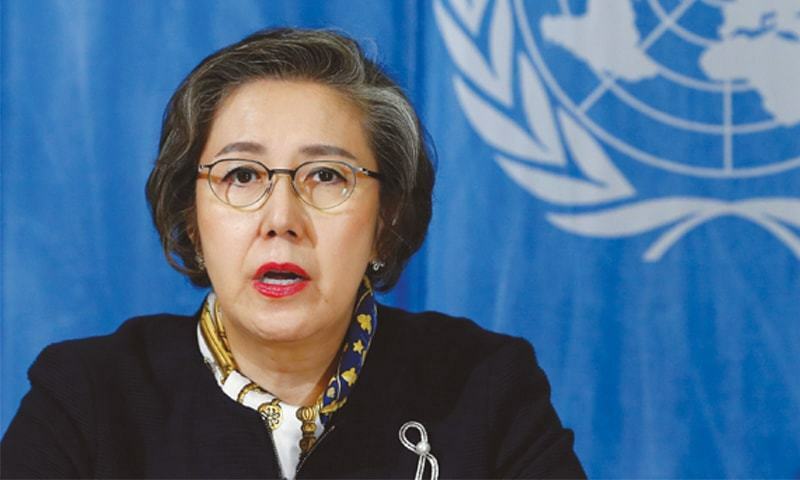 SEOUL — The United Nations’ independent investigator into human rights in Myanmar has called for international pressure on China and Russia to try to get them to oppose human rights abuses in Myanmar. UN special rapporteur Yanghee Lee, who was last week barred by the Myanmar government from visiting the country, singled out China and Russia because they had failed to back some moves in the UN aimed at trying to halt the Myanmar military’s crackdown on the Rohingya Muslim community in Rakhine State. Neither has joined the United States, the European Union and the Organization of Islamic Cooperation in condemning the crackdown that has led to the exodus of what aid agencies estimate to be 655,000 refugees into Bangladesh. Surveys of Rohingya refugees in Bangladesh by aid agency Doctors Without Borders have shown at least 6,700 Rohingya were killed in Rakhine State in the month after violence flared in late August, the aid group said last week.